"Photography can reveal so much. It's the invasion of the privacy of the people." 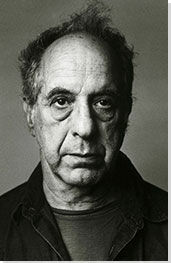 Robert Frank came to artistic eminence following the publication of his seminal book The Americans which is regarded to this day as one of the most influential photography projects of the 20th century. Frank became associated with the so-called 'Beat Circle', a group of poets, writers and artists - beatniks - who exemplified the apolitical, free-form spirit of post-war American existentialism. Having made his living as a commissioned commercial photographer, but left feeling frustrated artistically in that role, Frank took his 35mm camera onto the streets and highways of America where he honed his highly influential style of wandering, observational photography. Frank shunned the principle of balanced compositions in favor of crooked, grainy high contrasts in black and white and his revolutionary approach to his subjects was to prove decisive in the development of a more authentic reportage photography. In later years Frank found critical success as an underground moviemaker and his work generally took on a more personal, even spiritual, dimension. In its 2015 career retrospective article, the New York Times introduced Frank as 'the most influential photographer alive'. Before the publication of The Americans, the 'official' photographic art remained the province of a small number of elite American museums. With The Americans Frank had managed to initiate a seismic shift in attitudes towards art photography. To virtuosic effect, Frank used his camera to capture an unvarnished and unguarded cross-section of American society, and in so doing, he brought a new sense of liberation to the photographic medium. Indeed, Frank's pioneering work challenged many of his contemporaries to question the established rules of balanced photogenic composition and to rethink the very possibilities for photography as a socially relevant and dynamic medium. To Frank's way of thinking, a true artist had to be both intuitive and "somehow enraged" and, as such, his goal was to capture through his lens ways in which his environment has affected him on a personal level. Indeed, for many critics Frank had succeeded where others had failed by representing, not only the ordinary lives of his subjects, but also by revealing something of the soul. As the New York Times art critic Nicholas Dawidoff put it: "Frank's gift was to transcend reportage and tell [the spectator] something about the condition - how oppression felt." As an adopted member of the New York (Greenwich) Beat community, Frank embraced the ‘hip’ ideology of a self-styled group who were well represented in American literature – through the likes of Alan Ginsberg, Jack Kerouac, Peter Orlovsky, and William Burroughs – but, just as the creative writers had taken their inspiration from jazz music and Abstract Expessionism so Frank found a way to apply the amorphous freestyle aesthetic to the photographic arts too. Having forthrightly declared his disdain for sentimentality (and political ideology for that matter) in fine art, Frank's dispassionate wandering topography of his adopted nation had effectively set a brand-new standard in street photography and Frank, by general agreement, assumed the mantle of Father of modern documentary portraiture. Yet The Americans has retained its power because Frank sought a further – higher (one might say) - meditative dimension to his work. He achieved this feat by coupling images of everyday American society with inanimate signs of consumer culture and the modern American architecture and landscapes. The spectator was therefore challenged to look at The Americans, not as social critique (necessarily), but as a whole; that is, to make sense of the collected images through poetic and conceptual relations. Frank demonstrated his willingness to test his creative range soon after the publication of The Americans when he moved into independent filmmaking. Still driven by the impulse to upset conventions, to challenge norms, and while maintaining his preference to represent the lives of "risky people who walked the edge of the road", Frank made films in a spontaneous, drifting style that was to become a hallmark of the sixties filmic avant-garde. Indeed, Frank's long-time editing assistant, Laura Israel described his "out of sync" films as "near random collages", though according to Israel, Frank himself never achieved total fulfillment through his movies. 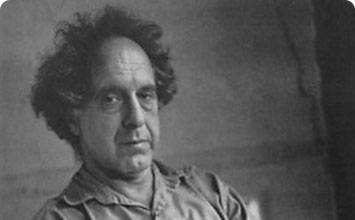 Robert Frank, the younger of two brothers, was born in Zurich in 1924 to a Swiss mother and a German-Jewish father. On the one hand, Switzerland had been spared the physical oppressions of Nazi occupation, and speaking of his adolescence, Frank would happily recall how he had dodged paying fares on the city streetcars "never worried about being caught by inspectors" (because Zurich was "rich enough"). On the other, Frank spoke of being raised in a "sad household": firstly, because radio news bulletins were constantly reporting stories of Hitler "cursing the Jews" (with the result that he just "couldn't turn off the voice" of antisemitism); and secondly, because the young Robert came to feel let-down by avaricious parents for whom making money "became the most important thing in order for them to feel good". However, father Hermann would complement his business acumen with an enthusiasm for amateur photography and his 'Sunday' hobby rubbed off on a seventeen-year-old Frank who took up an apprenticeship with a photographic studio in Zurich. This early work predates The Americans and demonstrates Frank's predilection for pictorial juxtapositions. Untitled shows a lone businessman (or a salesman) walking through a park (London probably) immersed in a white fog. The image was featured in Black and White Things, a handcrafted book designed by Frank's friend, Werner Zryd. Published in 1952 while Frank was in Zurich, the book (initially only three copies were produced) featured photographs taken by Frank on his early travels abroad. Black and White Things was forwarded with a quotation by Antoine de Saint-Exupéry which read: "It is only with the heart that one can see rightly/what is essential is invisible to the eye". Promoting thus the principle of pictorial narrative as 'aesthetic experience', the book was divided into three sections: 'black', 'white', and 'things'. "Untitled' appears in the 'white' section next to ostensibly unconnected images including Frank's new-born child and Peruvian peasants. What fixed the subjects in this section was not then the subject matter so much as an aesthetic association: the 'white' aura providing a fitting hue for what Frank called "quiet people and peaceful places". Black, White and Things was later republished as a whole in 1994 in conjunction with an exhibition of his work at the National Gallery in Washington, D.C.
Used for the cover of The Americans, Trolley - New Orleans (taken, incidentally, four days after a 'conspicuous behavior' arrest for having alcohol in his car) effectively announced Frank's intention to document the lives of ordinary American people; a search for a pictorial essence of present-day American life using only available light and shade. However, though now accepted as his magnum opus, and indeed despite its formidable introduction by Jack Kerouac, The Americans (the book was in fact published in France in 1958, the year before it was available in the United States) was criticized in prestige journals and magazines (such as Life) for its "drunken horizons" and its focus on "wart-covered" America. Frank saw himself however in the role of a contemporary flâneur, recording modern life while going unseen and un-noticed and commenting indeed that he often "felt like a detective or a spy". In this image, Frank managed to encapsulate, through the blank emotions of 'unremarkable' people, a nation caught up in the frictions between post war American optimism and the realities of race relations and working-class life. While working on assignments for Harper's Bazaar, Frank made the acquaintance of the Russian art director and photographer, Alexey Brodovitch and it was the Russian who encouraged Frank's to pursue his goal of developing a new and authentic photographic art. Brodovitch urged his mentee to take greater risks in his work and emboldened Frank to 'unlearn' the studio practices he had learned since his time as an apprentice in Switzerland. New York City captures a group of striking white workers on a New York sidewalk. We can see in the foreground a working-class African-American man slouched against a trashcan. He appears to be carrying a giant American flag - something of a motif throughout The Americans project - though on closer inspection we realize that this is in fact an optical illusion. The 'flagbearer's' demeanour - arms folded across his chest, his gaze turned towards an object or events outside the frame, and away from the protesters - suggests an indifference towards the plight of the white workers. Though the subjects belong to the same social class, the image alludes to a contradiction by presenting a picture of a conflicted ethnic society rather than that of 'one nation' united under the same flag. As a Swiss émigré, Frank had been fascinated by the contrasts he found in this vast and alien land; especially in the Southern states. Frank had become absorbed with the topic of status and race and the theme of people who live on the margins was to become central to his goal of producing a comprehensive picture of America's socio-economic conditions in The Americans. In Charleston, South Carolina he encapsulated the schisms of privilege though the image of a white baby being held in the protective arms of African-American nanny. Though any precise meaning remains deliberately elusive, the image presents the picture of an underlying American 'condition' that questioned the reality behind the 'American dream'. Whatever one's personal response to the image, we can certainly appreciate Charleston, South Carolina as one part of the bigger Americans project which was, according to historian Robert Hirsch, to include a complete vision of "alienation, loneliness and spiritual desolation". Frank had been inspired by the work of Walker Evans, and especially his photographs of battered American highways. While Frank's main objective with The Americans was to document the everyday existence of the American people, U.S. 285, New Mexico represents a more poetic facet to the book while managing to preserve its overarching themes of desolation and loneliness. Frank attracted criticism because of his willingness to challenge the established rules governing documentary photography and the same could be said for his treatment of landscapes. In his effort to promote a new understanding of photography as art, he presented unbalanced compositions through high contrasts of black and white - "Black and white is the vision of hope and despair. That is what I want in my photographs" he proclaimed - and as such one can see how this worldview can be traced across his reportage and landscape photographs too. Through Santa Fe, New Mexico, another of his 'road' photographs, Frank contradicted the picture of an urbane America he had helped to promote through his commercial work. Here, Frank used his 35mm Leica, the camera of choice amongst the wandering Beat Generation, to represent a hidden, lonely vista of the Southern State. Santa Fe, New Mexico shows us an abandoned gas station set against a desert wilderness, the gas pump 'figures' allowing one to recall perhaps the theme of human desolation as explored by the likes of Edward Hopper in his famous 1940s painting Gas. Frank's photography of this period often sat within the sphere of social commentary yet here 'the Americans'' relationship with their imposing landscapes lends the image a certain Romantic theme. The word 'SAVE', moreover, written in bold capitals across a billboard that stands high over the pumps, tempts further speculations of a symbolic and contemplative nature that would become the more dominant aspect in Frank's later work. This photograph shows Frank's wife Mary and his son, Pablo, in their car, captured through the windshield. We see here a prime example of the unbalanced, grainy compositions that had drawn condemnation from conservative commentators who took a dislike to Frank's divergence from professional photographic conventions. The photograph was taken when Frank's family joined him (in Texas) though he bemoaned their arrival as something of a creative inconvenience: "You go out, you're gone. You come back, you're tired. You've hunted for pictures. You want peace" he said. Indeed, when compared to the other images in the book, Frank considered this a personal picture since it captured his mood of 'melancholy' and 'sentimentality'; emotions he had been trying to avoid for the objective The Americans project ("I try to get out of sentiment's way when it comes near me"). Nevertheless, U.S. 90, En Route to Del Rio, Texas, the final image in The Americans, provided a most fitting image by which to bring his famous road trip to its conclusion. For his first movie, Pull My Daisy, Frank was to collaborate with other associates of the Beat Circle. Adapted (and narrated by him) for screen from the third act of Kerouac's unfinished play Beat Generation, Pull My Daisy was co-directed by Frank and Alfred Leslie and starred Allen Ginsberg, Gregory Corso, and Peter Orlovsky. In the film, a group of beatniks gather (as they have been inclined to do) one evening in the apartment of Milo, a railroad worker, and Beltiane, his painter wife. The couple are visited by a Bishop and members of his family. This visit provides the spur for the beatniks to pontificate on the virtues of the existential 'Beat' philosophy. In keeping with the ideals of improvisation and spontaneity, the film was widely celebrated for its expressive authenticity. In this respect, Pull My Daisy preempted the American Underground movement that gained notoriety within the New York artist community in the early 1960s. However, unlike the Underground movement, which was fully committed to self-reflexive, spontaneous (sexual) expression, Pull My Daisy was, as Leslie later revealed, carefully planned, rehearsed and had even made use of a professional lighting set up. The self-titled image shows the horizon of the open ocean behind a suspended frame on which the words 'For the Glory of Wind and Water' have been hand-written on a transparent surface. Produced in 1976, the photograph represents Frank's mature period which was shaped in part by the death of his daughter (in a plane crash in 1974) and his son's mental and physical health problems (he was to commit suicide in 1994). Frank's earlier American works would often give a voice to the outsider but here we see evidence of his poetic retreat towards a higher emotional feeling of existence; one that strives only to affect a contemplative and introspective mood in the spectator. Indeed, Critic Nicholas Dawidoff, citing W.S. Di Piero, argued that Frank's 'genius for expressing emotional complication came from an artistic innocence' while Di Piero could only marvel at Frank's 'ability to look at the world as a child does - without the intrusions of experience"'. When viewed from this perspective, Dawidoff argued that the 'inner simplicity' of For the Glory of Wind and Water showed his world in 'a new light' and in so doing brought about a feeling of 'emotional complication' in the spectator; what fellow photographer Paul Graham suggested might be "a yearning in us all to find meaning and a pattern, a form to life".